We have been meaning to do a longer bike ride for quite some time, and the ride to Tornabarakony, partly through the woods, appealed to us. The weather has turned autumny, so temperatures were more suitable than in previous weeks. 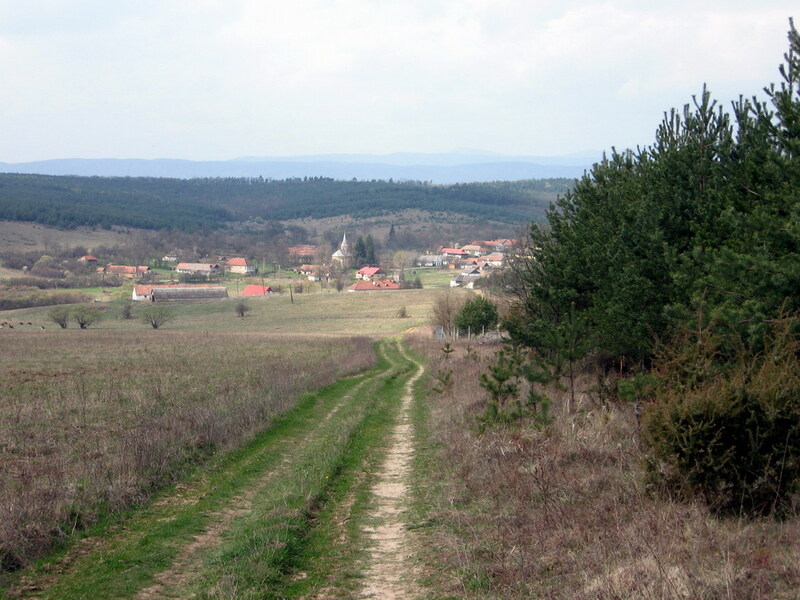 We took the road out of Szalonna, circled Rakaca Lake into Meszes and then into Rakacaszend. In Rakacaszend we followed the National Blue Trail into the woods up a very steep dirt road and then followed this for 3 km to Tornabarakony. The road is just barely passable, and only doable in dry weather. The panorama at the top of the hill is fabulous. Tornabarakony hosts the best, most professional village day I have ever been to, and well worth a visit if you are in the area in August. It is also a beautiful village in its own right, but mostly used for summer homes and rentals. We ate our sandwiches and tomatoes in the shade by the side of the road and refilled our water bottles at one of the few working blue water pumps in the area with its handle still connected. We followed the road out of town through the pine forest into Komjáti, and stopped in Perkupa for a quick bite at the Barat Büfé. Two big portions of French fries and a lemon beer refuelled us enough for the final 5km of the 35-40 km trip. Or so we thought, until some idiot had left a huge nail in the middle of the road that I did not spot and blew out my back tire. Luck was with me, since the flat happened only a few km from home, and just at that our neighbour Zoli called about coming over to clean out our boiler, and he was willing to pick me up in his station wagon.